We love fairy tale retellings over here at Intellectual Recreation. (Many more here.) In celebration of this week's release of The Shadow Queen by C.J. Redwine, we've gathered some of our favorite Snow White reimaginings. When Celine's mother dies in a freak accident, it doesn't take her father long to remarry. At first, Celine and her stepmother, Violet, are the best of friends, but as Celine grows into a beauty, Violet's true colors come out. How will Celine escape the wrath of her wicked stepmother? Alex Flinn has created a really fun version of the Snow White story. I liked learning Violet's backstory at the beginning of the novel and I was so excited when Celine met Goose. He is my favorite character. Some of the interpretations from original to retelling were a little on the nose for me, but I loved the ending and had a great time reading Mirrored. Out September 2015. Review copy from Edelweiss. In this high fantasy retelling of Snow White princess Lorelai Diederich fights to take back her throne from her evil sorceress stepmother, Irina. Prince Kol of Eldr will get entangled in the conflict between the usurper and the rightful heir as Irina sees in the dragonshifter the perfect huntsman. C.J. Redwine's retelling stars a kickass heroine. Lorelai is tough, trained, smart, and very powerful. All of the magical duels in this book were intense. This is a major magical smackdown. Irina is so evil and her magic is pretty horrifying. I love dragons when they are well done, and I quite enjoyed the dragon shapeshifters of Eldr. The Shadow Queen is out February 16, 2016. Review copy from Edelweiss. The queen's wedding day is quickly approaching when she learns of a sleeping sickness plaguing the neighboring kingdom. With three dwarfs as her guides, she travels through the mountains to rescue the sleeping princess thereby awakening a kingdom. 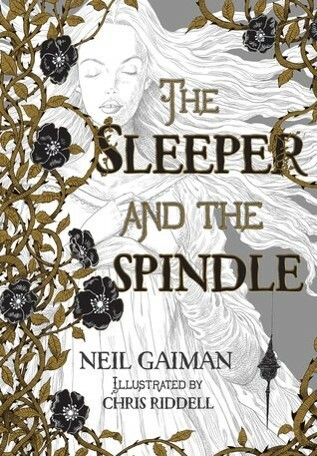 Told with all of Neil Gaiman's mystique, The Sleeper and the Sipindle is a haunting marriage of Snow White and Sleeping Beauty. Beautifully illustrated by Chris Riddell, the images and words sucked me in, and I read the book in one sitting. For me, the book raised as many questions as it answered, and I loved it all the more for that. 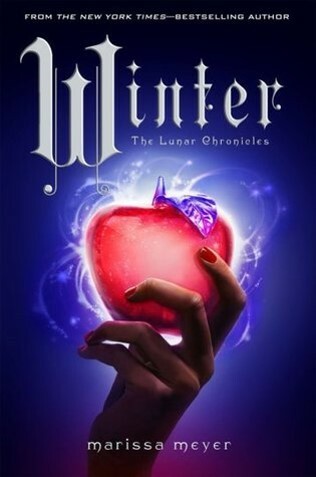 I'm hard pressed to come up with another series that has been the cause of as much anticipation and excitement as The Lunar Chronicles has been for me over the past four years. I have loved every one of the books and have fallen pretty hard for these characters. One thing that I love about this series is how every book builds on the next, not only in terms of plot, but also in terms of sophistication and intensity. Each book introduces another set of characters and another fairy tale that are woven organically into the overall story. By the last book Marissa Meyer is juggling eight or so main characters and four fairy tales. Winter, the final installment, weaves the story of Snow White into the mix. Aza lives and works at her family's inn. Her unconventional looks are a great frustration to her, but her beautiful singing voice makes up for it in many people's eyes. Aza travels to the palace where she catches the attention of many, including the prince, with her magical voice. When she gets entangled with the queen, however, things quickly go awry. 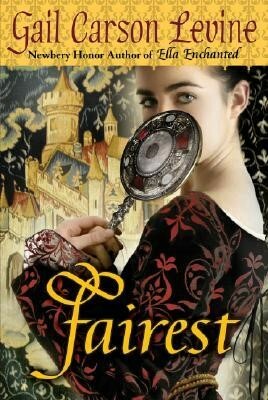 The interpretation of Snow White in Fairest is nicely done, and I liked the way Gail Carson Levine fit the story into the world of Ella Enchanted. I loved the importance of singing in their culture, and I thought the prince was sweet. The audio book is especially fun because it's a Full-Cast Audio and the actors sing. 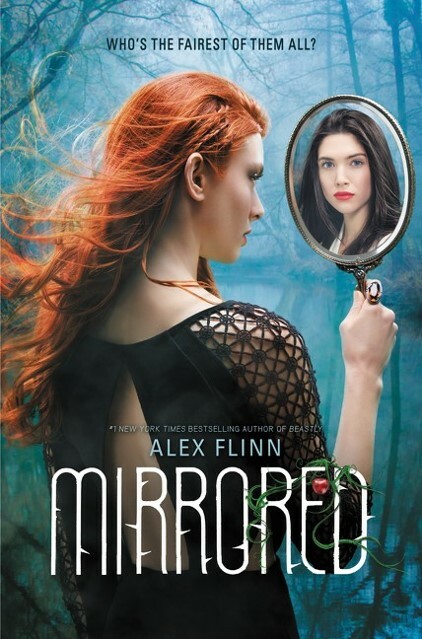 Mirrored, The Sleeper and the Spindle, and Fairest reviewed by Paige. 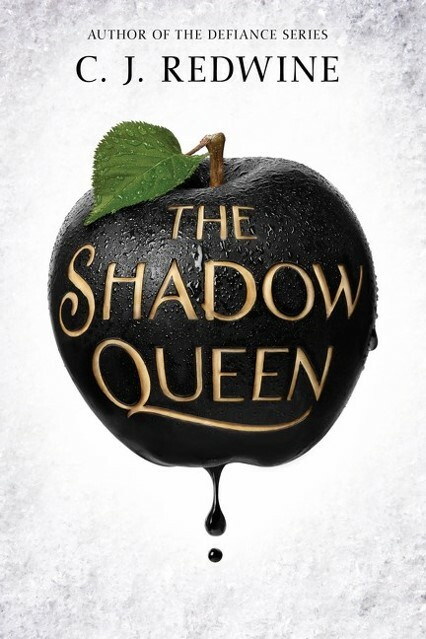 The Shadow Queen and Winter reviewed by JoLee. P.S. Lots more fairy tales. I love fairy tale retellings, too! There are a couple here that I haven't seen--thank you!